At our company, we have skilled craftsmen and machinists who are trained on a consistent basis. 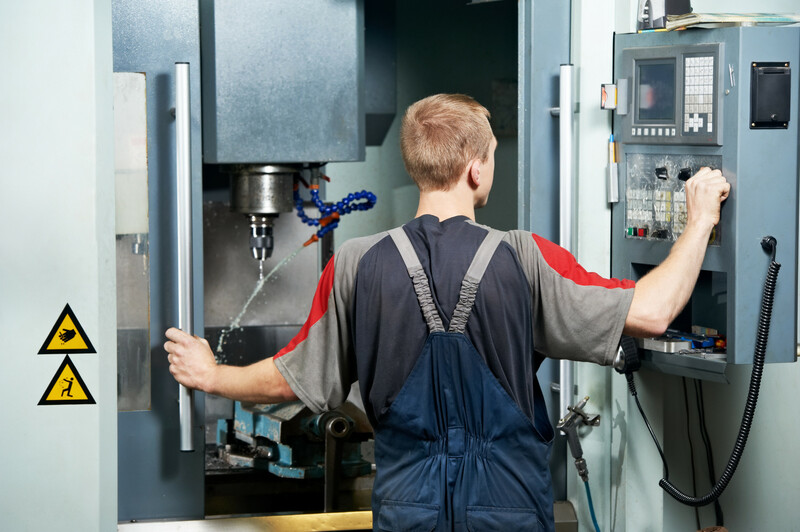 We have several machinist onsite as well as millwrights, who perform certain hands-on maintenance tasks including leveling, aligning and installing machinery. In terms of our production process, we begin by bringing in the raw stainless tool steel and aluminum and cutting it to the required dimensions as per the customer’s requirements. We then machine it and grind it to the required final size. Next, we prep it for wire EDM, and once the profile is cut to the final tooling drawing, we mount it to fit with one of the dozens of adapters we have in stock. The tools are then blended from the adapters and polished. Once all of these steps are completed, the extrusion die is ready for testing and flowing in. The vacuum sizer in most cases is made from aluminum or stainless steel. We machine the blocks to size and then send it out for wire EDM. Once it comes back, we put it into the vacuum slots and cooling lines. We run in the vacuum sizer and tool to get everything into spec. Once complete, we send the vacuum sizer out for anodizing or plating, and sometimes in the case of stainless steel we chrome plate the sizers as well. The main purpose of this process is to keep longevity in mind. We make products that last and we are thorough in maintenance. Our licensed tool and die makers and machinists are all extremely hard workers, and we take pride in the quality of our work by creating extrusion dies and process solutions for each and every project. This entry was posted in Tool & die and tagged extrusion dies and process solutions, raw stainless tool steel, skilled craftsmen and machinists, vacuum sizer anodizing or plating, wire EDM. Bookmark the permalink.